To many observers, the words "Industries" and "Pollution" are inextricably linked with the idea that any industrialised production is responsible for the dumping of emissions in the environment. In support of this belief, they mention the damage that has been caused to the environment at an increasing pace since the beginning of the industrial era (the eighteenth century). In fact, there is no doubt that technology has advanced more and more, thus pollution has increased, with consequences that have tended to be irreversible since the second half of the last century. 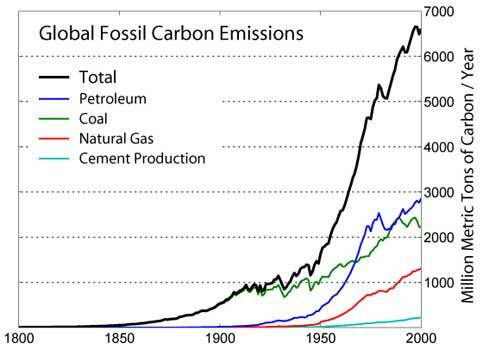 To understand how this acceleration has come about and how this human influence has continued to grow, just look at the Co2 emission curve (carbon dioxide, particularly gas produced by burning fossil fuels). This curve is at a terrifying exponential rate, since it is completely clear that no exponential growth is possible in the long term, particularly where pollution is concerned. "Pollution" refers to several elements and is crucial. However, this chart only shows CO2 emissions, as the subject of this case file is the impact of industry on the wider environment. Which industries cause the most pollution? We can pinpoint mainly two of them: the chemicals industry and energy production. As we have seen, the industrial era began in the eighteenth century and demanded more and more energy to cope with its growth, which was boosted by advances in technology and the growing world population. How could this energy be produced? Man has used coal, oil and gas, which has resulted in pollution of the air, water and soil. In the eighteenth and nineteenth centuries, the first types of air pollution were visible in the skies of major cities, this was ‘thanks' to coal, which was soon joined by petrol, which in turn has also contaminated the water and soil. However, it seems that petrol cannot be used industrially without unfortunately serious ecological disasters occurring on a regular basis (See also the CyberDodo case file on the subject of petrol). 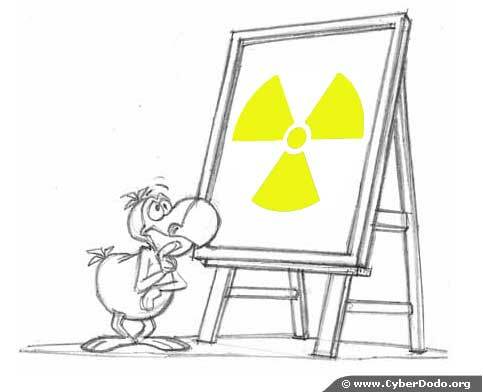 Proponents of nuclear energy have a major argument; it does not produce CO2 and does not contribute to global warming. According to them, it would therefore be "the" preferred solution to ensure a sustainable supply of energy while fighting against global warming. a) Waste = No person has the right to bequeath to future generations the responsibility for managing waste that will remain deadly for thousands, even millions, of years. Who could justify that in order to ensure our current comfort, we are endangering future generations that have not asked us for anything? b) Budget = see the second page of this case file. Chemical industries are responsible for pollution which is as diverse as the millions of substances produced or processed by them. Indeed, there are few areas of human genius on which the "progress" of science has had no impact. For many, certainly ... but perhaps for even more, the answer is negative. Man has manipulated, modified and created products the safety of which no one can guarantee, since the pace of development far exceeds the analytical capacity of the authorities nominally in charge of their approval. Thus in the environment, particularly where our waste is concerned, we find substances whose long-term effects are, at best, unknown or potentially lethal. This is not the only problem with the chemical industry since the operation of production units causes unacceptable discharges of a large proportion of them (Liquid effluents in rivers and seas; factory smoke containing gas greenhouse gases and other pollutants into the atmosphere, soils, heavy metals, etc..). In summary, the whole biosphere is contaminated and has been partly destroyed by factories disposing of waste both upstream and downstream. We dump millions of tonnes of substances on the environment of which we do not even know the true impact in the short, medium and long term. Industries have a heavy and major responsibility in this pollution, but would it be possible for them to operate otherwise?